Why were Ten Percent of Sicilian Babies Abandoned? I was excited last month to get a pressie from one of the leading experts in Sicilian genealogy. 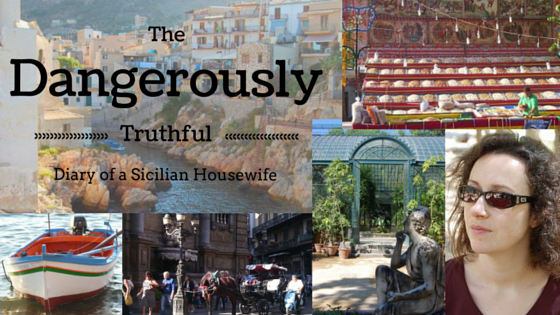 A novella, set in olden-days Sicily. The author, Angelo Coniglio, usually helps people people in America trace their Sicilian roots, and turn up a thousand or so relatives who all want to feed them more than their body weight in food when they visit the motherland. One day while researching, however, he found something in a Sicilian birth record which set his imagination on fire, till he had to write down a story that could explain it. In the late 19th century, even married women in Sicily were sometimes driven to abandon their babies through sheer poverty. One child in ten was handed over to the church at that time, by desperate parents who could not feed them. Despite knowing this, the priest who named the baby and the clerk who registered the birth would give the child a name chosen deliberately to stigmatise and mark them out as a foundling. It may be Proietto (thrown away) or Esposto (exposed) or it may simply be a ridiculous word like Fieramusca (horsefly) or Milingiana (aubergine or eggplant). There was always a woman who ran the church orphanage, and her name was recorded on each child’s birth certificate. What Angelo found was a record where the woman running the orphanage had a foundling’s name herself. After reading Angelo’s book I was hooked on this topic, so I interviewed him to find out more. What first inspired you to write The Lady of the Wheel? I was doing research involving the town of Racalmuto, and I found a record reporting the birth of an abandoned child who was presented for registration by a woman who herself had a foundling’s surname. What writing experience did you have before tackling this book? I am a retired engineer and engineering professor used to writing reports. In addition, for years I have written genealogy columns for newspapers and on-line venues, including Times of Sicily. The story has an Italian subtitle, La Ruotaia, a term which even most Italians are unfamiliar with. Could you explain what that means? From the 16th through the late 18th century, most Sicilian towns had a “ruota pubblica”, a public wheel set in the outer wall of a house, church or hospital. It was used for mothers to abandon infants they could not or would not care for, without being seen by the wheel attendant. The attendant was variously called “custode dei esposti” (guardian of exposed infants); or “ricevatrice dei proietti” (receiver of castoffs), or simply “la ruotaia” (the wheel lady, or the lady of the wheel). What is the story basically about? The trials and tribulations of a poor Sicilian family in the 1860s, and the harsh choices they made in order to survive. Some parts of the book touch on emotive subjects and a lot of suffering among Sicilians in the past. What feelings did it provoke for you to write about them? Is the book inspired by a true story? How much is inspired by your own family history? As noted above, it was inspired by actual Sicilian records, but it is fictionalized. The events it describes were experienced by thousands of Sicilian families. My “home town” of Serradifalco is mentioned, but the tale is NOT about my family, though some of the vignettes are taken from stories told by my family members. What made you decide to write the Lady of the Wheel as a novella rather than a straight history book or memoir? The book essentially “wrote itself”. I gave little thought as to whether it was to be a full-fledged novel or a novella. After the first chapter, the rest of it simply fell into place, It’s not a memoir, nor is it a history book, as it is fiction. There’s clearly a wealth of historical knowledge that has gone into the book. How did you go about researching it? Do you have any photos from that era? Maybe of your family? The average Sicilian family of the era described could not afford tom own a camera, nor have a photo taken. I have only one image of any ancestor previous to my parents, and no photos of my parents while they were in Sicily. That doesn’t mean I have no documents, and readers can see those for many of my ancestors by going to http://bit.ly/HeritagePath and following the links. Have you got any plans for other books? The Lady of The Wheel is set in the 1860s, in Racalmuto. I am planning a similar book set in my ancestral town of Serradifalco, but covering a much longer period of history. It will be a full novel entitled “The Mountain of the Hawk”, which is the meaning of “Serradifalco”. I am also planning a book entitled “Discovering Your Sicilian Ancestors”, a compilation of my genealogy columns that will tell “how to” determine immigrant ancestors’ towns of origin using censuses, naturalization records and passenger manifests, and then how to find, translate and interpret original documents in Italian and Latin, to build a “pedigree” or family tree. If you personally could travel back to any place and time in Sicily’s past, where and when would you go? Why? I would go back to 1860s Sicily and do all I could to reject Garibaldi’s conquest of my ancestral land. Why? Not only to shed the yoke of Bourbon rule, which Garibaldi promised to do, but to prevent Sicily from being subsumed into “Italy” and suffering the same deprivations that had been inflicted by other conquerors. Garibaldi failed miserably in that promise. What would you say it means to be a Sicilian living outside Sicily today? It means that a son of Sicily should do everything possible to celebrate its unparalleled history and culture, and inform others, including non-Sicilans and even Sicilians themselves, and their descendants, of the wonderful heritage of “La Bedda Sicilia”. And not to glorify and imitate the thugs and hoodlums who unfortunately receive the lion’s share of notice by others. I found this fascinating and may buy the novel, although I know how desperately poor the Siciliani were in that period: so too were many from Basilicata and Campagna. Thank yo for interviewing the author. The book really evokes the grinding poverty suffered by many. By creating characters to tell a story it is made much more “real” than a simple historical account. Thank-you for introducing me to Antonio Coniglio’s book. It is a subject that has long fascinated me, indeed we have a restored ‘wheel’ in Calatafimi, and it haunts me whenever I see it. Shall buy book. That’s fascinating that you have a wheel preserved there – I would love to come and see it. Where is it exactly? The subject absolutely fascinates me now the Angelo Coniglio has introduced me to it – I had never heard of it before reding his book. Wow! Excellent! Def getting that book too! Giaquino (Jack) DILaura that his father Antonino was the oldest of eight children and at age seven was sent to live with his paternal uncle and wife as they were childless and was raised by them in the same town of Caltavuturo, Palermo. I thought of this after reading your interview on Mr. Coniglio. Thanks for your continual feedback about life in Sicily. of Sicilian. Ironic indeed. This would certainly shake things up on the mainland. he had recently studied. The clerk’s immediate comment was: ” you must be Sicillian “. You can take the boy out of Sicily, buy you can’t take the Sicilian out of the boy “, might be a good way to describe it. Ha ha! I love the story of your Sicilian friend learning Italian!!! You are right, Italian is indeed heavily influenced by Sicilian. The German King Frederick, who was called Stupor Mudi (the Wonder fo the World) by the Sicilians) filled his court with Sicilian poets and their writings were so moving they heavily influenced Dante at the time he was having a major influence on the then evolving Italian language. Francesco(Frank), also Angelo and Michele(Mike). Most of the family lived in Niagara Falls,NY. One lived in Buffalo and two brothers in Groton, CT, who worked in New London for the Electric Boat Co, manufacturers of submarines. Hope this fills in some of the blanks regarding any questions you might have about our side of the family. I always learn a lot from your posts ❤ thanks! 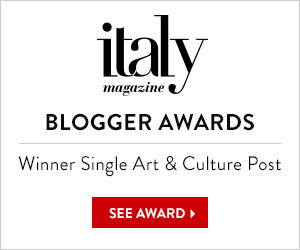 Thank you – I am glad you like my blog! And through that you can also contact Angelo for professional help if you need it! If you would like to read an in depth history of this topic then I recommend the book “Sacrificed for Honor: Italian Infant Abandonment and the Politics of Reproductive Control” by David L. Kertzer. He is a professor of anthropology and history at Brown University in the USA. If you are interested in an in depth history of this topic then I recommend the book “Sacrificed for Honor: Italian Infant Abandonment and the Politics of Reproductive Control” by David L. Kertzer. Not to shamelessly plug Sicily Memory Roamers , but I have to! While you could do research online/by yourself, Loredana and Orietta are 2 Sicilian natives and you support them. They are payable via PayPal and i just thought their research was spectacular. They included the street in Cattolica Eraclea (~ 70 Via Collegio) where the ruota degli esposti was. And then I Google Earth’d the street to see it as it is today. Amazingly, the church is still there on that street. They also told me that the state supported the boys until about 5-6 and the girls until about 8. If no one adopted them, they were kind of on their own! Pretty shocking to imagine my 6 year old bisnonno apprenticed to a dry goods merchant, but that’s what happened. Their fee was about $250 and well worth it. Then by joining a Lecarese Facebook page, i posted my nonna (Lecarese) family chart and some distant relatives reached out. They were all Mislmeri but moved to Lercara for the sulfur mine work. I would say if you have the spare $, want to support 2 lovely Sicilian girls, and are super lazy (like myself), the service was great. If you google: ruota degli esposti–the Wiki page is awesome. One of the popes had dreams of dead babies in the Tiber–so put ruota all over the place. That’s one crazy island you live on. Good luck!